Do New Laws Make Reverse Mortgages Safe? Using home equity to provide retirement income can be a brilliant move. There are a number of ways to do this. Taking out a reverse mortgage is one option of course. But is it a good one? And have new laws made it a better idea? Let’s take a look. A reverse mortgage is simply a loan you take on your home. You get the cash either as a lump sum or in a series of monthly payments. The nice part of this deal is that you don’t have to repay the loan until you move out of the house or pass away. You can only take out a reverse mortgage if you are 62 years old or more and you can only take the mortgage out on your primary residence. You can only arrange a reverse mortgage with a private lender but they are insured by FHA. In the professional world, reverse mortgages are known as Home Equity Conversion Mortgages (HECMs). What new laws were passed and what do they mean? 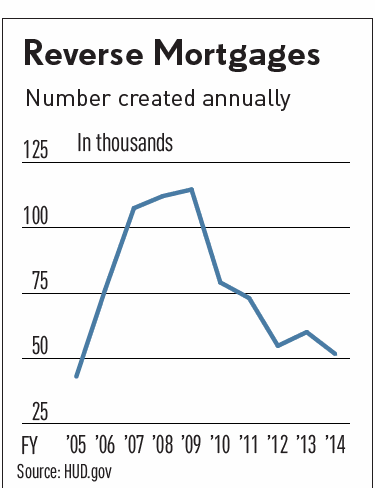 As a result of new laws, reverse mortgages are going to be tougher to get. But if you do get one, you’ll have more safeguards. Those safeguards are important because people who bought reverse mortgages in the past encountered some pretty expensive problems with the arrangement. First, it is very expensive to set one of these bad boys up. The fees are astronomical. That hasn’t changed unfortunately but what has changed is the lender must make sure you can afford to stay in the home after the reverse mortgage is set up. In the past, people would agree to the reverse mortgage but then find themselves unable to keep the house up. As a result, they were forced to leave anyway and the only one who benefited was the lender who collected that blood money to set it up in the first place. Now the lender must run a credit check and cash flow analysis on you to see if you can afford to stay in the house even after they give you the loan. Keep in mind that just because you take a reverse mortgage doesn’t mean you are off the hook for other expenses associated with your home. You still have to come up with the cash to pay for taxes, insurance and maintenance. The laws also address the problem of the surviving spouse. Because the amount you receive is based on your age, many people set up the reverse mortgage in the older spouse’s name. The older a person is the more money the lender offers. That’s because the odds are that the older person will die sooner and the lender figures they can then get their money back faster. That was a good tactic to get the most money possible but not a good idea for the surviving spouse. Why? Because if the spouse wasn’t on the loan documents, they would be forced to move out and sell the house to repay the loan. The problem then becomes where is that surviving spouse going to live? That is no longer the case. If the spouse who didn’t borrow the money agrees to be named on the loan, accepts the obligations the original borrow had and otherwise has a legal right to stay in the home (such as owning the property as a joint tenant) the lender can’t force the loan to be repaid even if the other spouse dies or moves somewhere else (such as a long-term care facility). Do these changes mean it’s safe to buy a reverse mortgage? Of course everyone has their own unique situation. But for my money, these are still very bad deals for retired people. You can see from the graph to the right, most other people are sour on the idea too. That’s because the fees are still very high and because I believe there are far better ways to use the equity in your home – like downsizing. Remember, it’s expensive to maintain a home. When you are retired and need to maximize income, appreciation isn’t important. Cash flow is. And if someone is looking at a reverse mortgage that tells me they’ve got a problem with their cash flow. The reverse mortgage is just a temporary plug that doesn’t solve the real problem (which is that the person’s expenses are too high relative to income). Again, you have your own circumstances and you have to weigh this with your own advisors. But in most cases like this, it makes far more sense to sell the home, rent something smaller and use that equity to create more income. Would you consider taking a reverse mortgage now that the laws have changed? Why or why not?